The older I get, the faster time seems to move. Weeks, months and years are just flying by and there never seems to be enough time to do all the things I want to do. I suddenly woke up this morning and remembered I needed to make something to take with me to a picnic this afternoon. That didn’t leave enough time to make my usual cupcakes, which need to be started the day before. 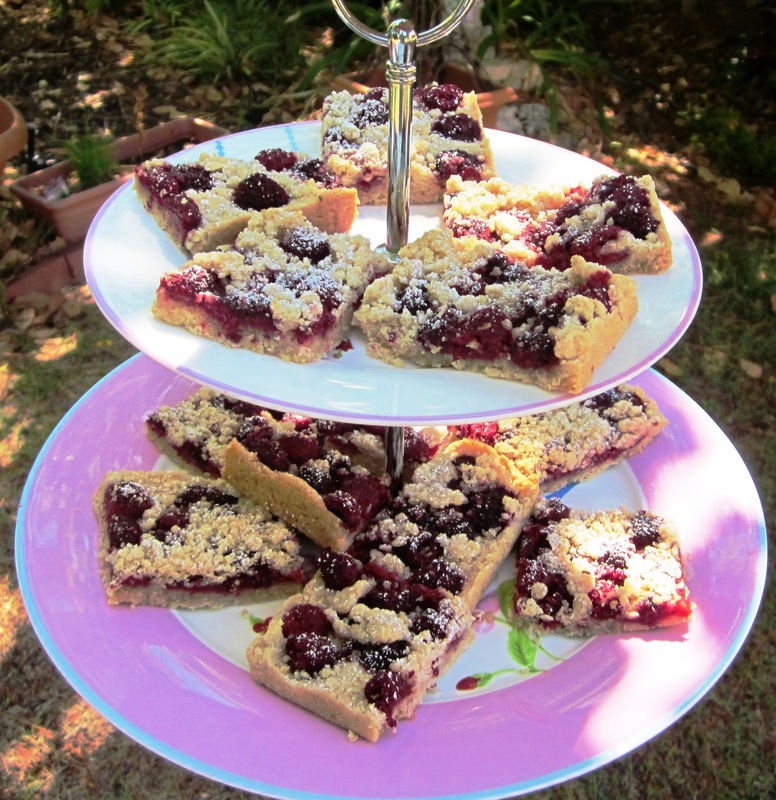 So I decided to make this raspberry crumble slice. It is a great last minute recipe, as it uses ingredients that I usually have on hand in the house and doesn’t take too long to throw together. The rich, nutty, buttery shortbread base and crumble provide a great contrast to the fresh, tart raspberries and it is one of my favourite quick treats. Once pale and creamy, sift in the flour, salt and cinnamon and add the ground walnuts. Stir the mix gently until it forms a crumble mixture. Keep one cup of the mixture for later and press the rest of the mix into the base of the prepared pan, either with your hands or the bottom of a glass. Top evenly with the raspberries and sprinkle over the remaining cup of the crumble mix. Yes excellent, one of my favorite desert, very good. MlI recommend some creme anglaise (for every dish :)) but it’s already good by itself. If they taste even half as good as they look I’m sold.